As 2019 begins to take flight, a new party joins the ranks in Cape Town, with a fresh outlook and an exciting lineup to boot. Aptly named the Soulshaker Movement, the event strives to bring together top and underground deep and tech house talent for a 12-hour party on January 12th, just 20kms from the busy CBD. 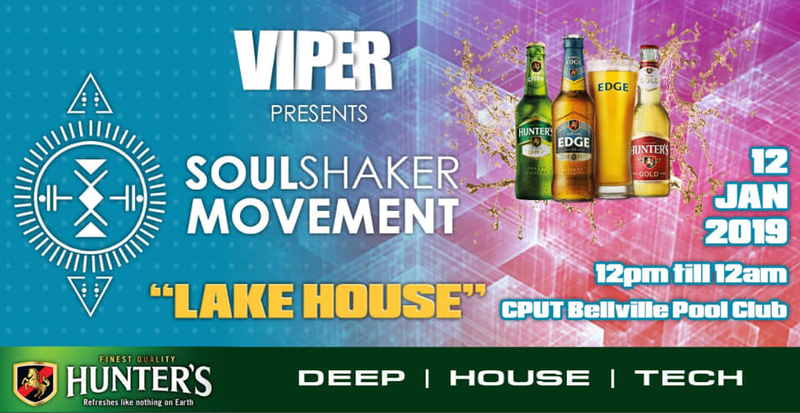 Taking place at the “Lake House” in CPUT’s Bellville campus, Soulshaker Movement will feature well-known names like Kilopascal, Ikon and Jo’burg’s The Rudeman, as well as local tastemakers Chad Wall, Dillyn Will and Goodhope FM’s Jason Spikes & VIPER 2.0 with Soulshaker residents Beat 2 Beat Brothers & Disco-Daze. Tickets available from Pulse. Visit the event page for more information.